We are going to talk about Bootstrapping strategies for Legacy PHP applications. ... about the building onto an existing legacy application, leaving parts of it untouched until they can be refactored or replaced. Just a few fun facts about me: I've been writing PHP since 1999. I've also got a lot of hobbies. I spend time with my family; we hike and paddle; I like to make things like blankets, silly costumes, and music. And I'm a retired Carolina Rollergirl. I'm also a developer at NC State. 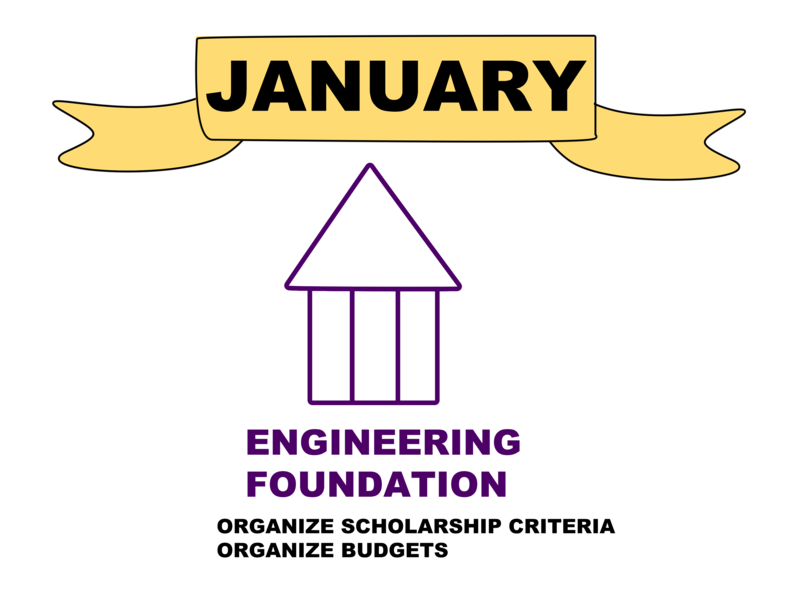 We maintain about 70 legacy PHP applications that support the Business of the College of Engineering. We have reduced that from about 90 applications 3.5 yrs ago when I joined the team, and we only have 3 fulltime developers tasked with this. My group in the College of Engineering: includes 3 developers, a UX person, a project manager, who we've lost. 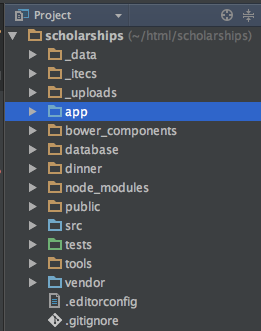 We support a pile of PHP applications. They only get attention when they have a problem or a new need. It's harder to read code than to write it. This is why code reuse is so hard. Our tendency, as developers, is to replace it with more familiar code, our own. But these legacy applications have grown beyond simple CRUD applications and now have a lot of business logic baked in. It is important that we develop the skills to read other code and fix only what is needed. In deciding replace or upgrade, you can actually choose both. But before we begin, let's review some terms to make sure we're on the same page. Software developed using older technologies and practices. It can be difficult to replace because of its wide use. Referencing a system as "legacy" often implies that the system is out of date or in need of replacement. The relationships between pieces of code are so tangled, it’s nearly impossible to add or change something without unpredictably breaking something. This also applies to models that don't meet the Single Responsibility principle. Technique for restructuring an existing body of code, altering its internal structure without changing its external behavior. Refactoring is a term often misused. You are changing the code without altering the application's behavior. ... without altering what the user sees and does. Once you change behavior, it's not refactoring. This is why managers don't support it. There is no visible gain FOR THEM or the user. A metaphor referring to the eventual consequences of any system design, software architecture or software development within a codebase. Technical debt is the consequence of the design decisions we make. At State, our students develop many simple apps. They are great for learning/teaching. Our dept can't get enough of the instant gratification of building a tool that helps someone do their job. But does it help our whole organization? Prof developers know it will eventually bite us. That simple app that one person uses will break and need an urgent fix, when we're working on something else. The student who built it won't be here anymore. Many of these apps have grown too big to be maintained by students. The users are too high on the org chart to risk failure or let the app die. Building onto an existing system for the purpose of improvement with the least amount of sweat equity and development cost in the process. When do we get the opportunity to refactor an application without new features being needed? it allows you to modernize your legacy application without replacing the whole thing. All development was in production. The codebase was an early version of Code Igniter. But that fact really doesn't mean much. It was an MVC application implemented by a student who didn't really understand how to use MVC. The application was used most of the Academic year, so that gave me a month at the end of the summer to "FIX IT", test it, and have it ready for the next Academic year. This month was a gift, they wanted me to do it in two weeks. 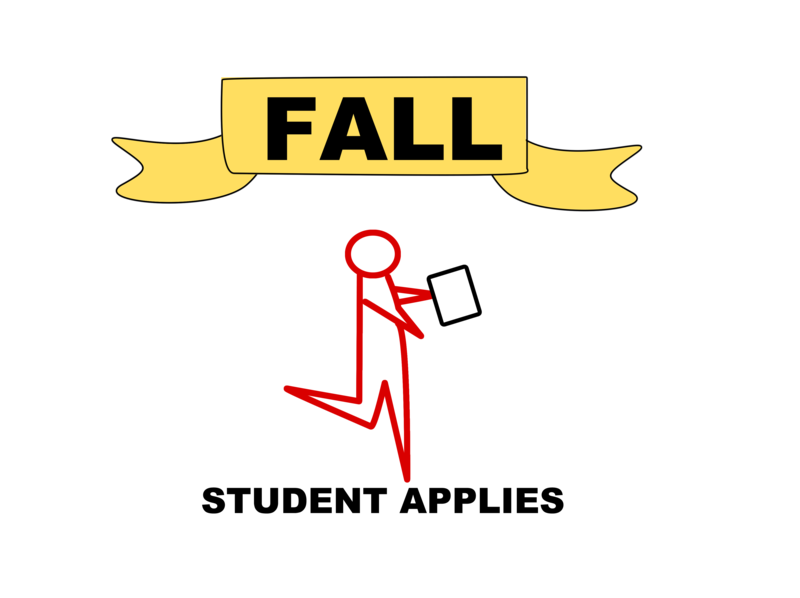 Fall, students began applying for the NEXT academic year. 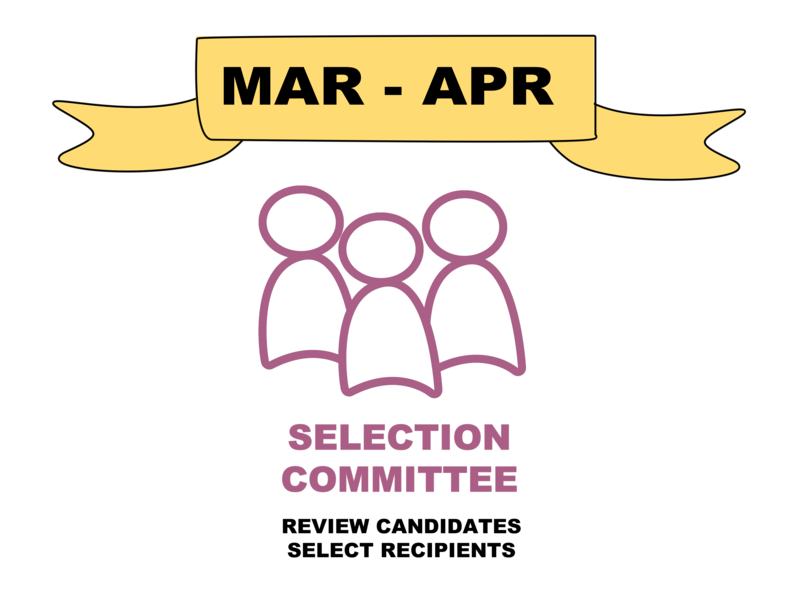 Selection committee finds candidates to receive that money. Scholarship Coordinator gives the information to Financial Aid. 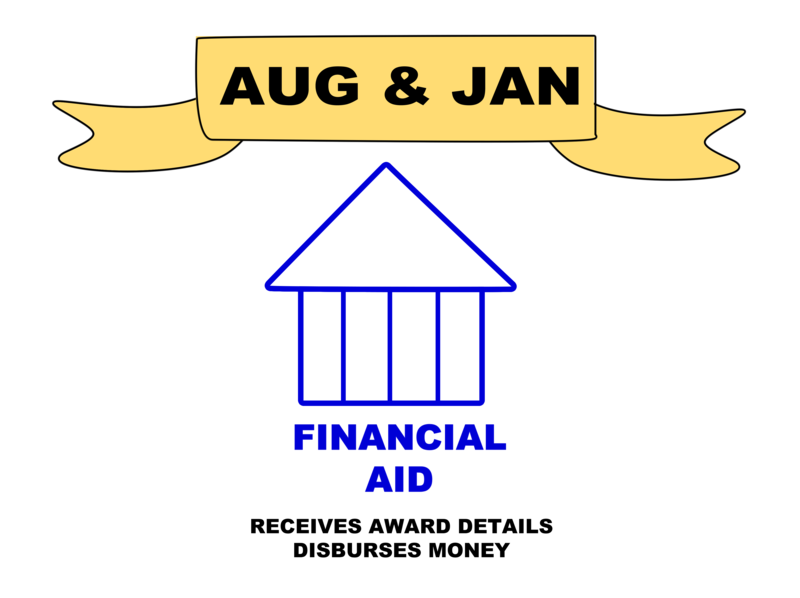 Each award is the amount of money, the recipient, and when the money will be given, the following Fall and/or Spring. 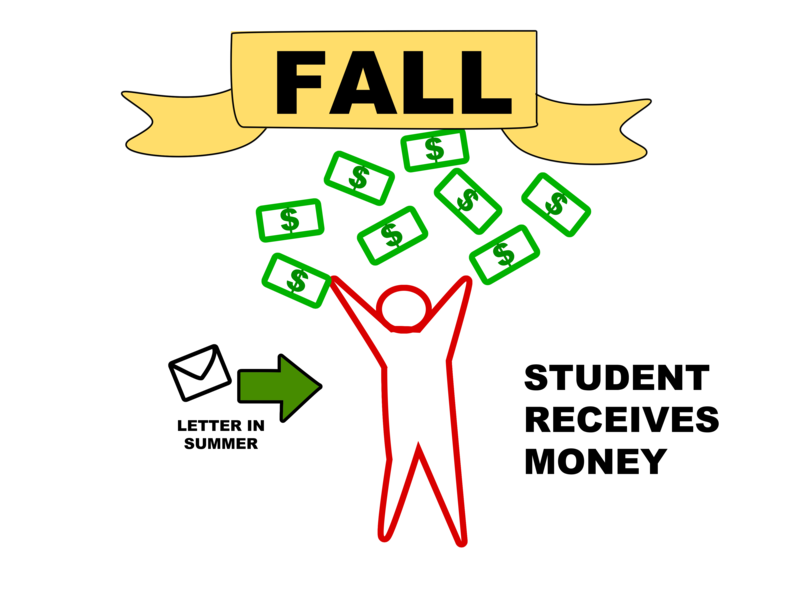 After reporting the awards to Financial Aid, a letter is sent to the students telling them the aid they will receive next year. 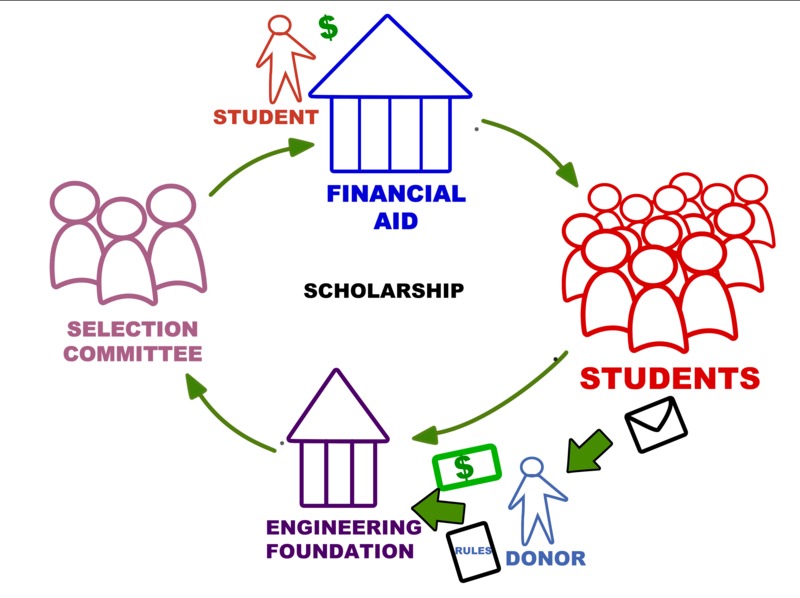 Although this cycle revolved around Scholarships, the scholarship meant different things to different people. There was a separation of concerns: ethical and fairness perspective. 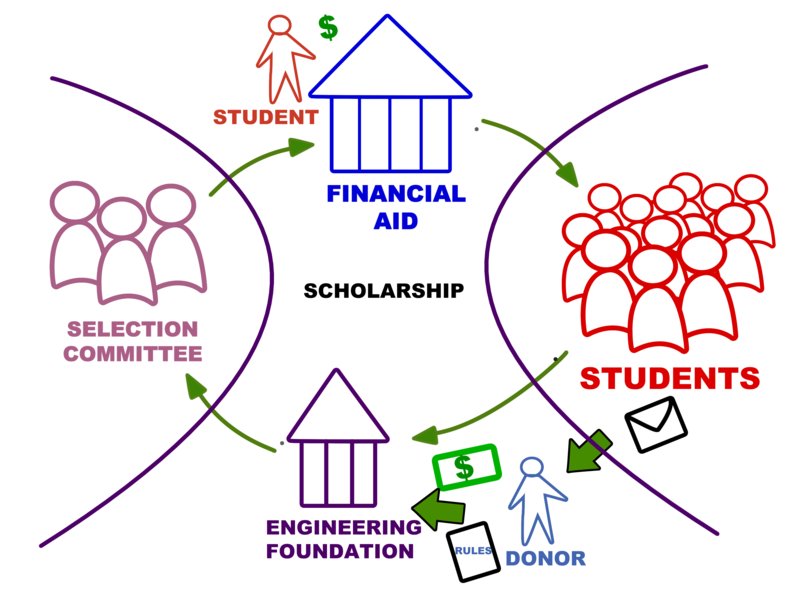 While the foundation cared about the criteria being met for a scholarship, they didn't want to be involved in choosing recipients. and since there are always new features, you need to see how those might fit in. Is their process consistent with the application? Do they have concerns with the application? Talking to the previous developer does NOT count as talking to your users. does it match what they are doing in the application. Finally, do they have concerns? Do they trust the app? Hate it? This is all necessary feedback. This is your chance to deliver REAL value, so pay attention! The Selection Committee received a spreadsheet of scholarships and available money. Each row was the scholarship account number, student id number, amount and when they should receive the money. They were in and out of the tool with spreadsheets filling the gaps. This had a high margin of error. Our scoring algorithm had a problem. Early on, they didn't want to exclude applicants, even if they didn't match requirements. This meant that a student who matched 2 required and 1 optional criteria, had the same score as match against 3 required criteria. A selection committee member had to scrutinize the candidates or could choose a bad match. It didn't allow multiple majors, and this was causing inconsistent probems. This had to be fixed! Identify entanglements whether they are places to avoid changing or have for improvement. This is where we really saw the danger in our large app model. Student's applications were a single row in a table. Their major was a column in that row. This caused students not to match for scholarships or to match when they shouldn't have. But there are always new features requested. What new features are needed? How they might be implemented? You want to see what those features are and how they might fit into the other work to be done. Student data like GPA and major should be correct at the time they were selected, to get a better match. They might change after, but this would minimize the bad matches. Is there another application that can do what it does? Is it better? If so, what are the Most Valuable Features? Be sure you aren't re-inventing the wheel. Before starting this huge project, we heard the University might be buying a tool for the University scholarships. It claimed to do all the work our application did and more. We met with them, but they didn't have enough of the colleges' support to justify the expense. We decided we needed to improve the accuracy of our selections and reduce the number of rejected awards. It's a good idea to include customers in your decisions about the value of features. Be open about errors in the application because this helps them understand the choices. Keep the door open anyway! It can be difficult to keep everyone engaged for the length of time required. Creating smaller bites of work is ideal for getting people on board and familiar with the process. Make sure when you organize the works into those logical, bite-size tasks, that you're keeping users informed of what you're agreeing to work on and why. It can help with the feature creep. As I mentioned, the plan was to leave the existing application alone as much as possible. We wanted to replace the application in pieces, but we didn't want to get stuck rebuilding the parts that worked. Before we could begin development there were a lot of things we needed to do to improve our development process. First of all, we were developing in production! No more developing in production!!!! We needed to use version control, first. Our department had just bought Github Enterprise, so that helped a lot. We also created Staging space on the server. These units are individual classes with testable behavior. There WAS functionality we were expecting to keep working while we implemented new features. and restructured how Selection would work. Testing was critical in this process! Testing was crucial to our working as a team. We could ensure that we didn't break each other's code by running the full suite of tests before merging our pull requests. Pimple container was extremely useful for our bootstrapping, and I'll explain them soon. In your composer.json file, you specify the packages and the versions you will accept. we checked in our composer.json and composer.lock files but .gitignored the vendor folder 2.0. * of Codeception. This means any version in the 2.0 development branch. It is the equivalent of saying versions that match >=1.0 <1.1. This is the composer file. The testing packages are only required in our development environment. Phinx was a criticial tool for us. It gave us the ability to alter our databases using a script. Migrations give you the ability to do and undo these DB changes. Any change I made to my DB could also be made across the team's development environments, in staging, and production environments. If something unexpected happened at any point, it could be undone. It basically allowed us to version control DB changes. And although it isn't recommended, we did use it extensively for data migrations in addition to schema changes. First is the change method, which is a single function. Phinx is supposed to know how to do AND undo that change, so you don't have to write the undo query. However, there are some queries that the change() method doesn't know how to undo. Example #2 is the type of migration we generally write. This example renames a DB column from bio to biography. Tests run after the migration would now pass, and that code could be merged. Another piece that allowed us to support the many environments: development, staging, production was a configuration file. This was not version controlled. But a template was. We wrote new code in a directory adjacent to the old application. We created new controllers that linked to the new functionality. 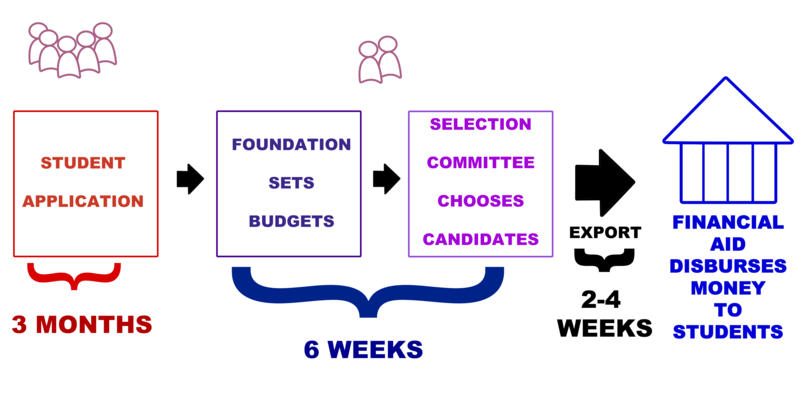 Our plan was to build new infrastructure using Domain Driven Design, creating bounded contexts for the Student, Selection, Foundation functionality, and as we were able to replace pieces of the old application, we would remove them entirely. 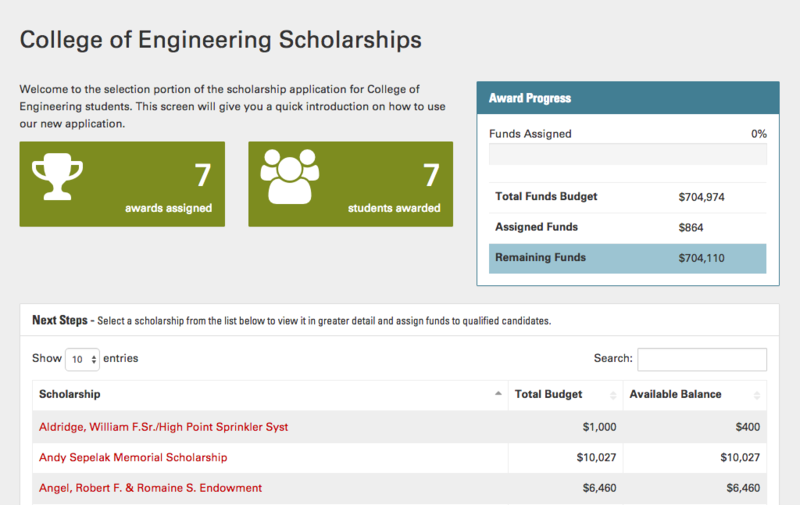 We recognized that our users were all accessing the scholarships in different ways. All of our new infrastructure was built using DDD concepts, which was new to us all. 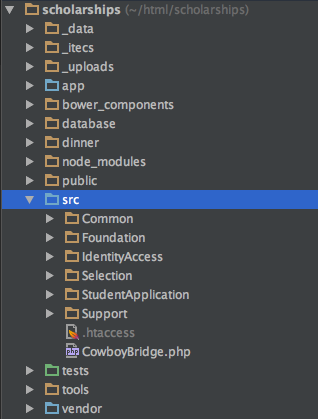 You should be able to see the directories for our bounded contexts. As well as Common and Infrastructure. This could just as easily have been new Models and other code formats. We wanted to be able to move this src folder to another framework or run without a framework when we had replaced the whole application. This was a LONG term goal. Composer allowed us to build this independent structure. And we used it to autoload the namespaced code in our source folder. We created a file to define the container, Each class or service was added to the container array and the dependencies were included. We needed an injector to bring our code dependencies into our CodeIgniter framework. The controller could then inject the service container and receive its dependencies. We needed an injector to bring those dependencies into our CodeIgniter framework. In our second example, the Applicant Query Service, we needed Students, Their Residency, GPAs, Unmet Financial Need, and their qualification for the scholarship. Each of those dependencies had their own dependencies. Defining them in one file meant we could include the container and name it simply. This defined a presenter to compile and display the Scholarship, its requirements, valid candidates, and any awards alredy given. // This keeps CodeIgniter from getting frisky. * Note: Simplistic. Last notice pushed wins. 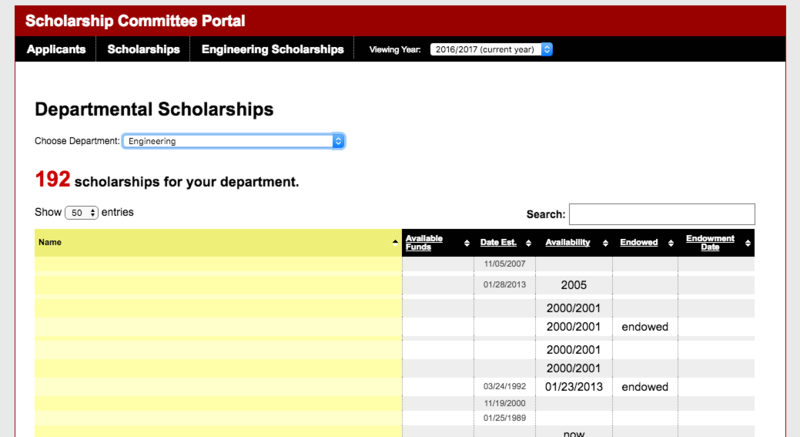 $header    = "From: Scholarships Application \r\n"
The selection process was entirely within our application. Restored confidence in selection process! More Scholarship Money was awarded in the application than ever before! We simplified the process tremendously! Expecting Academic Works to come online soon.